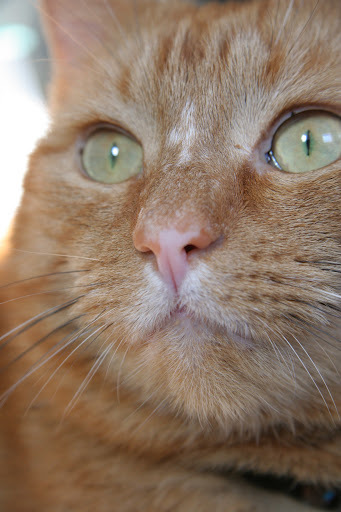 Yesterday our big fat ginger cat left for a new home and a new life. The decision to give him away seemed sensible given that we will be starting a new chapter in our own lives too. A move to a new city, a new job and a new flat (which doesn’t allow pets) meant we had to make a difficult choice. Since adopting the cat three years ago, he has been the source of many different emotions: annoyance at his 20 minute conversations that consist of ‘meow, meow, meow’ even after he’s been fed and groomed to within an inch of his life; murderous when he tangles himself around your feet if you are in a hurry or carrying pans of hot food across the kitchen; disgust at his tendency to drool whilst purring and padding in contentment on your tummy or worse, when he sneezes the excess drool over your face if something tickles his nasal passages; amusement at his ‘mad’ half hour when he runs around the house batting anything that moves; delight when he loudly attempts to sneak up on a fat pigeon then visibly sighs when he inevitably fails; but most of all, he made us love him and now he’s gone, the house feels empty and the rooms are all quiet. There’s no one to great you as you step through the front door or feline calls of ‘is anyone there, I need company?’ if we are upstairs busying ourselves in the office. I miss the half hour before bed time when he chooses to sit on my lap and keep me company with a purr like an outboard motor. 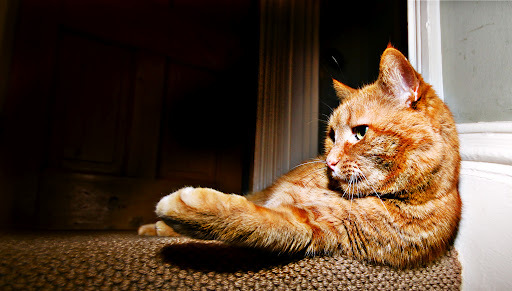 My big, fat ginger friend has gone and I miss him. So here is a tribute to fatty – I hope they look after you in your new home and appreciate your loveable personality and odd little quirks! 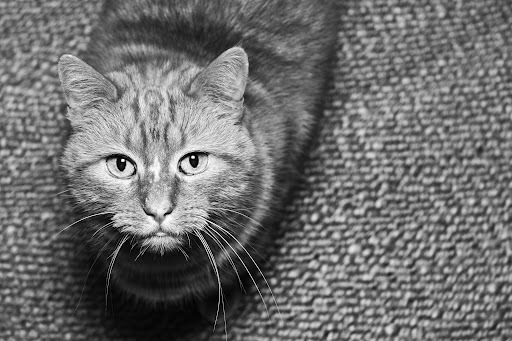 This entry was posted in Animals, Animals, Cats, Life, Pets, Photography and tagged cat, pets, rehome by bighair63. Bookmark the permalink.